One of the luxuries of being on vacation is having freedom to enjoy life at your own pace. With private Yoga for EveryBody® classes, you choose when to have your yoga class so it naturally flows with your personal vacation rhythm. We offer these one-on-one sessions and private group classes throughout the entire Riviera Maya. 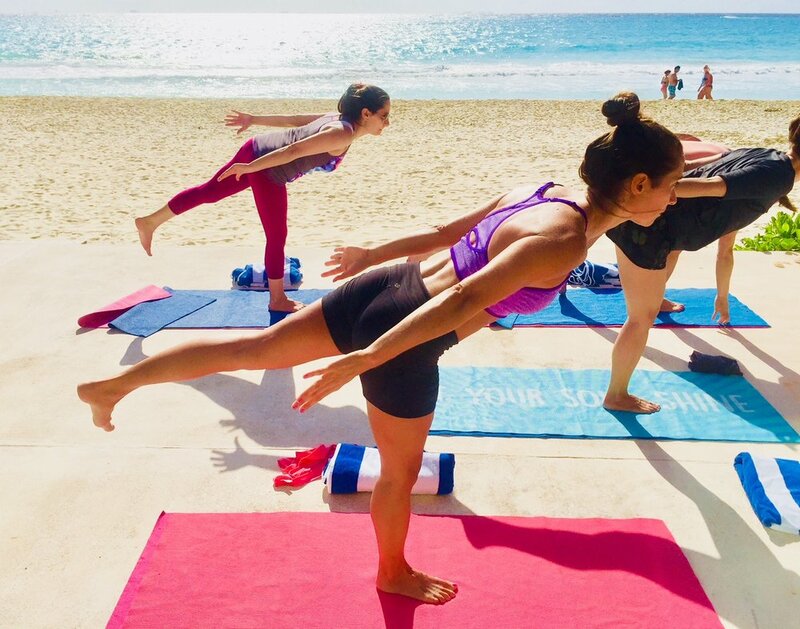 One of our experienced yoga instructors will take care of your 100% tailor-made yoga practice at the beach, at our studio or at your accommodation. Enhance your well-being with rejuvenating yoga. It's the ultimate health-giving treat! 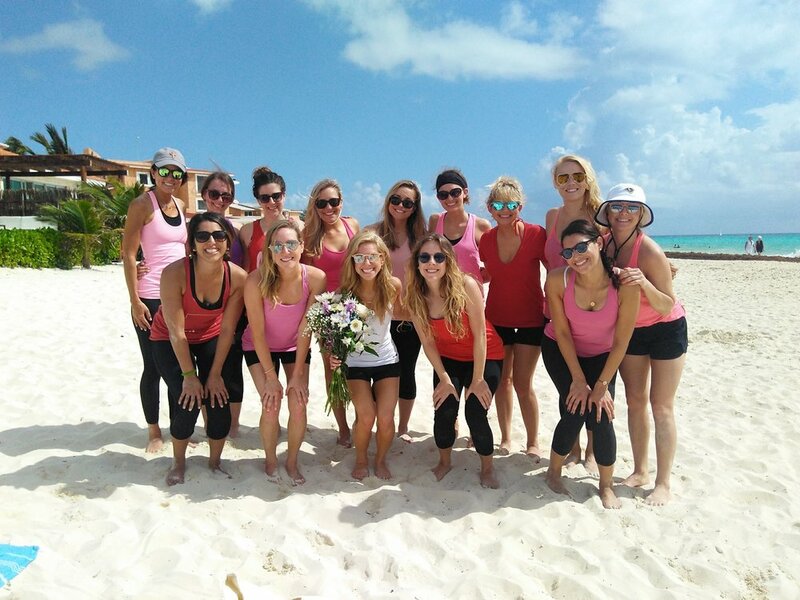 A group activity for your bachelorette (or bachelor) group that will stay with you forever. We will meet at the beach, our studio or your accommodation for a lovely all-level yoga lesson, ending the session with the ‘Flower Blessing’, where everyone has the chance to pass on their special personal wishes to the bride to be. She’ll end up with a bouquet of flowers that represents her beautiful group of girl friends. This little ceremony will be left to be a surprise for the bride until the end. This must be our favorite type of private class! Prices start from $65 usd. Group rates dependent on the size of group, location, travel time, etc. Yoga By The Sea, Playa del Carmen's original Yoga Studio.